In this blog post, I am going to let you know about to install WrodPress on your Local Server. This becomes really important to have a testing environment of your site for accomplishing the implementation of development and designing. So If you are running your website on WordPress or planning to have, then this blog post will really help you out to set a test environment for your WordPress website. Why should I need to have WordPress on Local Server while I already have it’s live on air….? This might be a general question in everyone mind, but it is okay to deal with the website whenever you are just writing to your blogs. 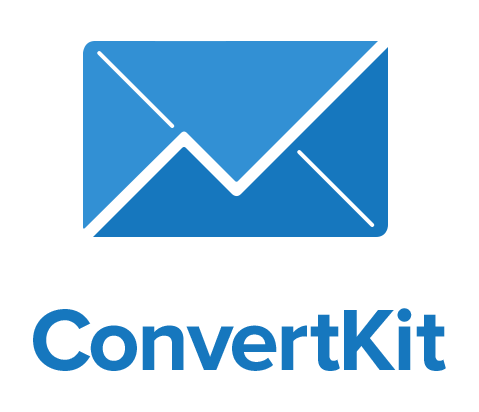 a test environment or Local WordPress server. Your website might be processed slowly. Your website may be hang by access updating stuff again and again. It is a chance to make some serious mistake directly to live site which can trouble your website and make it shut down for some time. With this live testing, you can also lose some of your important customers by website unexpected behavior. It might also affect some existing functionality of your website while doing a live update. So it is always suggested to test your code on the test site before implementing on the live server. And it is really a good practice to build and test the code before deploy, however, you can make minor changes to the live server which does not any kind of testing. 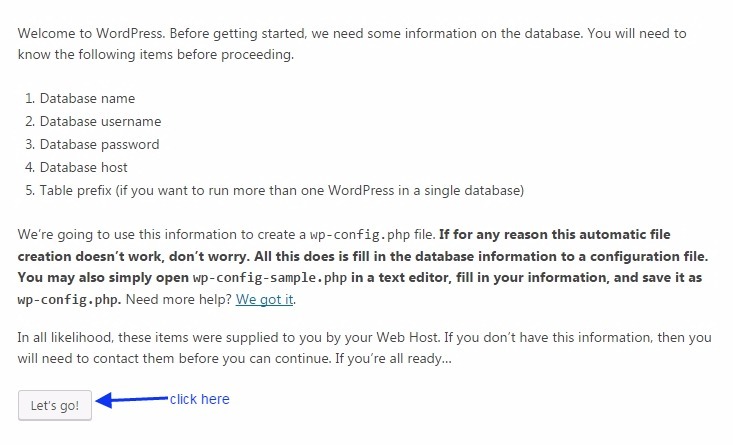 So, now the question is how can we install WordPress at Localhost and set the test environment for our WordPress site….? This is a really simple process, you just need to follow the step by step procedure given below. Download the WordPress software. See the below image for the same. Here you can download the latest version of the version. See the image below. 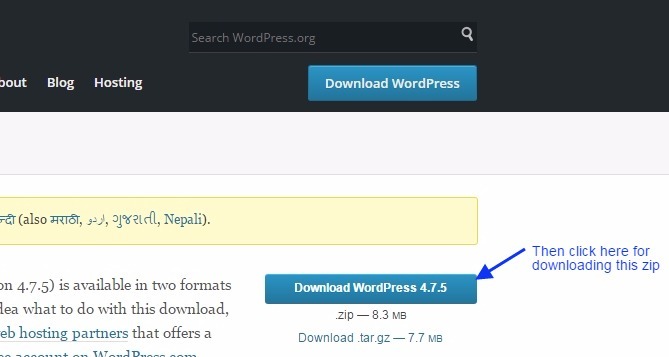 Once you download it, you open the page containing the WordPress Zip file. 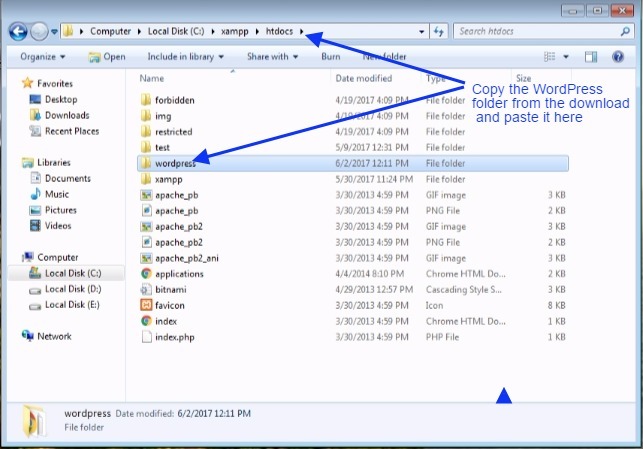 And then you need to extract the zip file and you will get a WordPress folder, you just copy this folder. See the image below. Now, Here you need to go to the place where you have installed your xampp server. 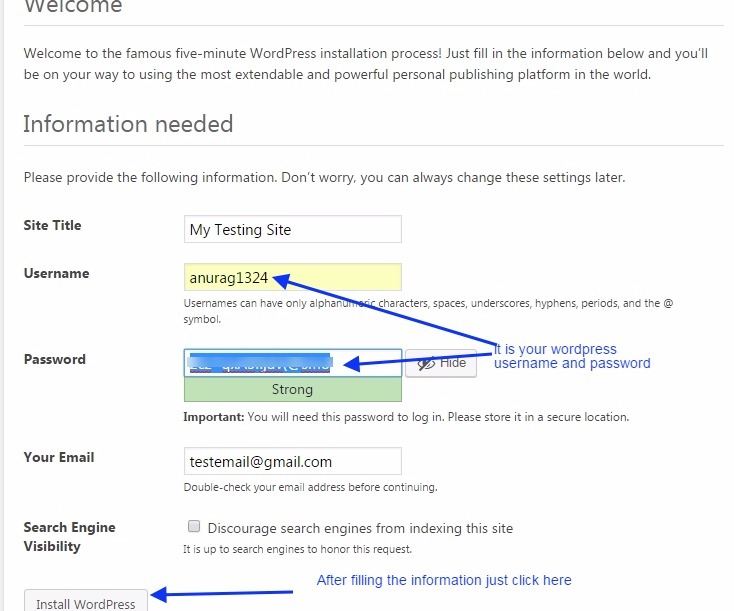 Then paste the WordPress folder in htdocs which you have copied in the previous above step. Now install xampp/wamp server on your local computer if you have not installed it yet, as test website also needs a local server to run. 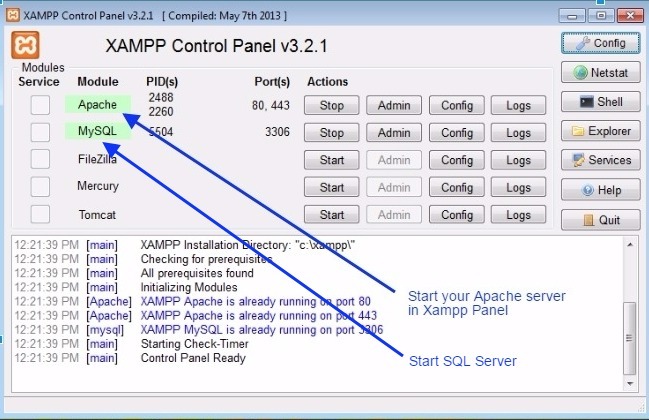 Here I am explaining this procedure with reference to the xampp server but it is also similar to the wamp server. 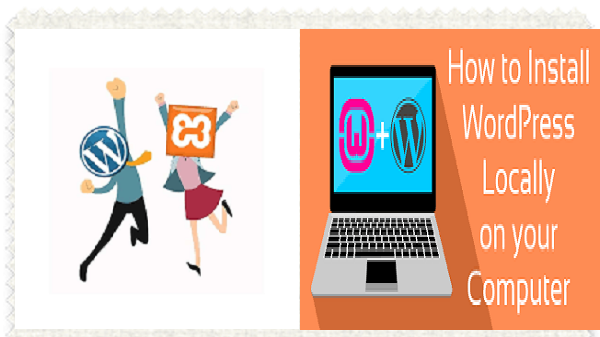 In xampp server the WordPress folder is pasted in the htdocs folder and in a case of wamp server it is posted in the www folder. See the image below. Now after starting the Apache and SQL service, you need to type this web URL in browser shown in the below image. And then click on ‘PHPmy Admin‘. 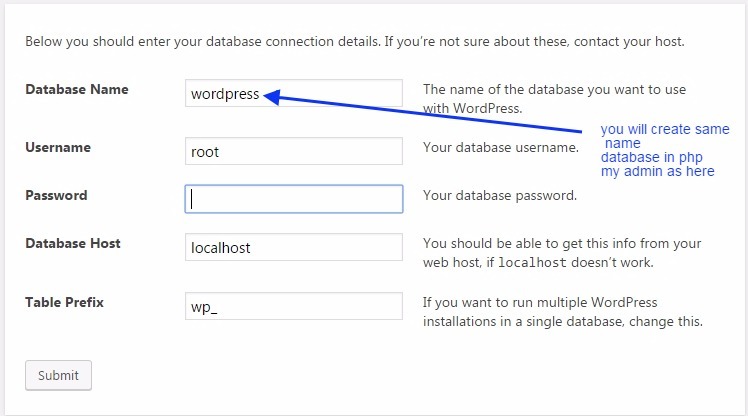 Here you need to create the database name WordPress as shown in the below image. Remember, you need to enter same database name while installing the WrodPress as you have made here. Type the URL on the browser as shown in the image below and then click enter. 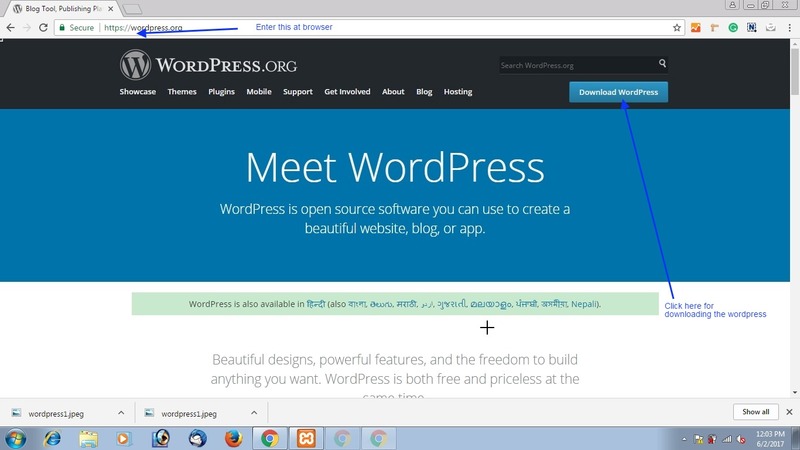 You will get a window of WordPress as shown below. Click let’s go as shown in the below image. Here enter the database name as you have created before in PHP my admin. Enter Username as root, leave the password blank, you can set it later After filling all these details just click submit. See the image below. Just Click Run and install. Here you just set your username and note down your default password which you can change later. Enter the site title as per your wish. 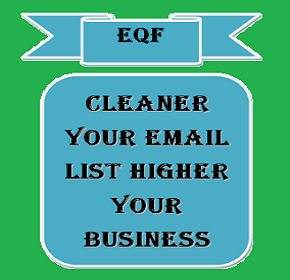 And enter your valid email address. See the below image for the same. Now, you are done with the procedure of installing WordPress. 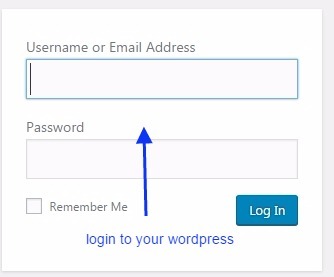 Now just make a login to your Local WordPress account. 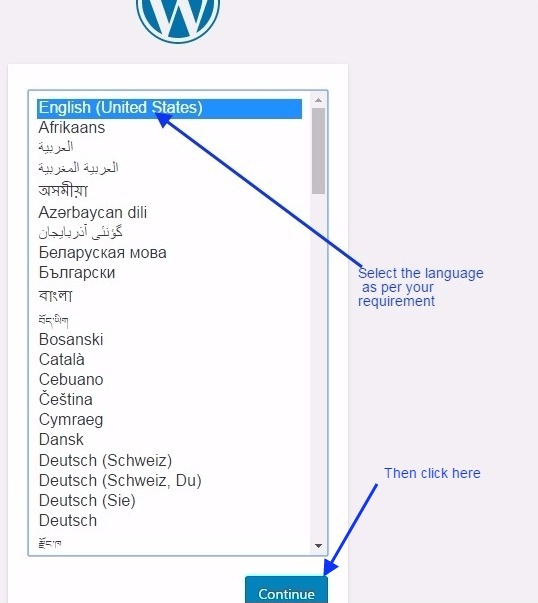 you need to use same credentials for login that you have got just in the previous step above. Here, you can see your admin panel of your WordPress website. You can manage all your website data from this place. You can add theme and plugins to your website from this admin panel. This is your final WordPress website on the local server.